The Michigan League of the University of Michigan located at 911 N. University, Ann Arbor, Michigan encompasses a hotel, conference center, cultural and social event center and a former university chapel. 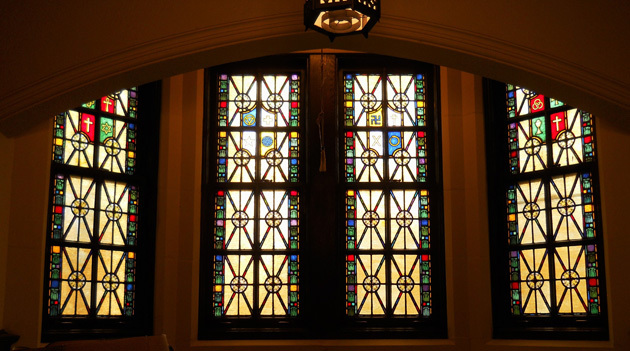 The Blagdon Chapel was built in 1929 and later repurposed and the windows survive in the Blagdon Room, a private meeting room used by university boards. 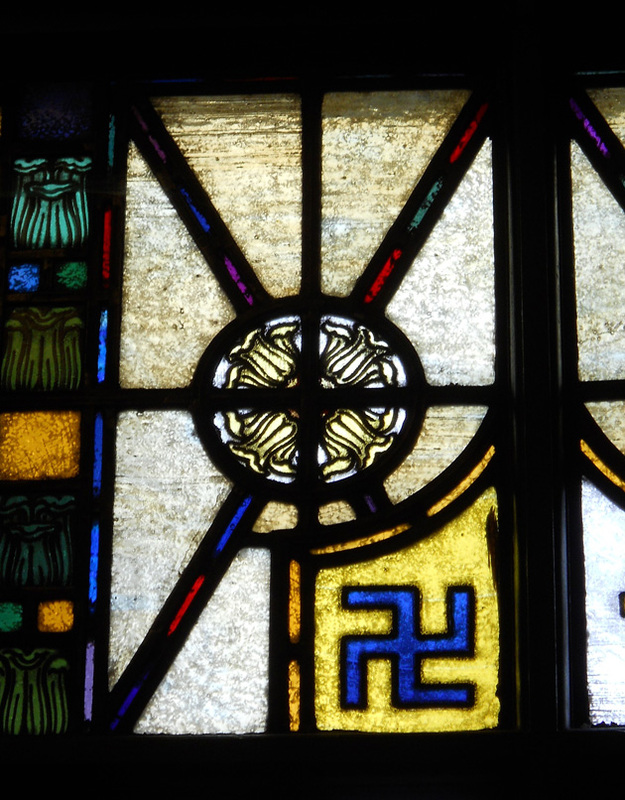 The hand painted Linden cathedral glass windows were designed by Irving Pond and Allen Pond of Chicago, Illinois and the symbols depicted in the windows were designed representing all faiths to encourage visitors to feel welcome.